When Australia looks to the north, what does it see? Southeast Asia, of course. But the region is no longer the geographic landmass in its front yard comprised of 10 countries governed by different political systems and cultural values to its own. CIMB Bank Bhd, through its branch that is being set up in the Philippines, CIMB Bank Philippines Inc, recently entered into partnership agreements with CIS Bayad Center Inc and FINTQnologies Corp.
Small freight vessels and passenger cruises have resumed services after the water level rose above two metres on a stretch of the Mekong River in Chiang Saen district yesterday, according to the provincial office. Plans for a first-ever joint military exercise by China and Southeast Asian nations this year would calm safety risks on the most heavily contested sea in Asia and could ease fear of Beijing’s dominant role in the sovereignty dispute. The ASEAN-Australia Special Summit this week has its origins in the last day of Malcolm Turnbull’s first trip abroad as Prime Minister when he asked Australian officials at the 2015 East Asian Summit in Malaysia what could be done to advance Australia’s relationship with ASEAN. 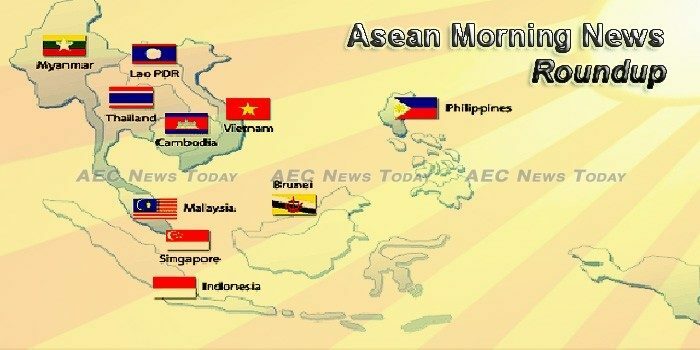 The Philippines supports moves by Asean to cut down the number of non-tariff barriers (NTBs) and non-tariff measures (NTMs) within the region as the region integrates further. Officials from southwest China’s Yunnan province have defended a plan to build a dam in the region as“fully legally compliant”, after an environment group took developers of the project to court last month for violating laws. Are Southeast Asia’s data centres ready for hyperscaling? With the humongous volume of data circulating virtually right now because of online activities such as video streaming and sending tweets, it is crucial for businesses to rely on data centres as they provide services for reducing infrastructure costs, providing uninterrupted power supply, improving data security and safety, and increasing storage. PTT Global Chemical Plc (PTTGC), Thailand’s largest petrochemical producer, plans to focus more on penetrating the Asean region, as the market has great potential. The 2018 ASEAN Tourism Forum (ATF) saw its 10 member countries embrace the theme of sustainable tourism and present a collective vision of growth in tourism numbers, and a slew of campaigns and plans highlighted for the 2018 season. Migrant workers’ protection: Quo vadis? Once again, the world bears witness to the cruel realities that migrant workers face everyday in their host countries. Genevieve Kang, spokeswoman for the ASEAN protest, said although nobody expected Mr Hun Sen to personally follow through with his threat, loyalists within the diaspora might do so. In January, a year after the US announced its withdrawal from the Trans-Pacific Partnership (TPP), the 11 remaining TPP countries agreed on a new version of the pact: the Comprehensive and Progressive Agreement for Trans-Pacific Partnership (CPTPP). ASEAN comes to Sydney this week. The harbour city hosts Southeast Asia as Malcolm Turnbull does summitry with ASEAN’s leaders. The 42nd edition of the annual Asean Glass Conference, which will be hosted by the Indonesia Glass Manufacturers Association (IGMA), is to be held on the 24th – 27th September 2018 in Yogyakarta, Indonesia. Shopee’s press release said the Mall offers 100 per cent authenticity guarantee, free shipping and 15 days return on all products, with an additional wave of unbeatable deals and promotions during the grand launch. NSW Police will be given the power to search people and vehicles without a warrant during the ASEAN summit in Sydney this weekend. Managepay Systems Bhd (MPay) will be providing fintech products and services, on a joint venture basis with MyANGKASA Holdings Sdn Bhd, for the Asean Cooperative Organization (ACO) which totals 60 million individual cooperative members. Indonesia’s plans to keep electricity tariffs and some fuel prices unchanged for the next two years will cost around Rp 8.1 trillion ($588 million) in additional subsidies this year alone, Ministry of Finance officials said on Monday (12/03). The World Health Organisation (WHO) has agreed to provide 20 billion kip (US$2.4 million) this year to strengthen the health sector, particularly in the fields of surveillance and response to infectious diseases, mother and child health, and immunisation. Lao authorities in charge have called for urgent approval of a budget of 500 billion kip for Laos’ ’ 2018 contribution to the construction of the Laos-China railway. Deputy Minister of Public Works and Transport, Mr Lattanamany Khounnivong, who is also Chairman of the Laos-China Railway Construction Project Management Committee, made the request at a meeting held on Friday. Lao PRD is preparing to dominate Lam Vong Lao (Lao circle dance) for the UNESCO World Heritage status. The Malaysian equity market has recorded the highest inflow of foreign funds among Southeast Asian countries so far this year, driven by the country’s strong economic outlook. Malaysian banks face risks on their commercial real estate loans in 2018, although their overall asset quality is expected to remain stable on improving macroeconomic conditions and slower formation of new nonperforming loans, Moody’s said in a report. Foreign funds reduced their exposure in Malaysian equities last week, ending the three straight weeks of foreign buying after a dramatic week of events coming from the US, according to MIDF Research. A top UN rights expert claimed Monday that the crackdown on Myanmar’s Rohingya minority bears “the hallmarks of genocide” and insisted the government should be held accountable. Some Democrats in the United States are wondering whether Aung San Suu Kyi, the Myanmar human rights advocate and Nobel laureate, should be stripped of her Congressional Gold Medal, the nation’s highest civilian honour, according to the website The Hill. United Nations human rights experts who are investigating potential Rohingya genocide in Myanmar say that Facebook had a role in spreading hate speech in the country. Authorities must thoroughly investigate the murder of an indigenous activist in the Philippines, where defenders of land and environment are increasingly under attack, said a group of Southeast Asian lawmakers on Monday. U.S. President Donald Trump issued an order on Monday prohibiting semiconductor maker Broadcom Ltd’s proposed takeover of Qualcomm Inc on grounds of national security, bringing an end to what would have been the technology industry’s biggest deal ever. Singapore’s proposed public order law would further empower the government to repress freedom of assembly and speech, Human Rights Watch said today. The government should revise the Public Order and Safety (Special Powers) bill, introduced in Parliament on February 27, 2018, to ensure that protection of public safety does not violate fundamental rights. Trials of a world-first next-generation smart bus stop have been initiated in Singapore today to address the dual problems of urban heat  and air pollution (PM2.5) faced by commuters. The Deputy Prime Minister for Security Affairs has confirmed that efforts to tackle illegal, unreported and unregulated (IUU) fishing in Thailand’s waters are ongoing, as the government remains committed to raising the standards of Thai fishing operations. Thailand saw a 20 percent increase in foreign tourists in February from a year earlier, led by visitors from China, the government said on Monday. From 400 to 500 kilograms of garbage had been washed by waves onto a beach on Koh Rung in the Mu Koh Chang National Park in Trat each morning during the past week, the park chief said today (Monday). Amazon.com is to officially launch its e-commerce services in Vietnam, with the aim of taking on Chinese rival Alibaba Group Holding in one of the fastest-growing e-tailing markets in the world.